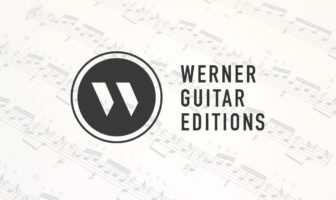 Arranged for Guitar, from Cantata BWV 147, Free PDF Sheet Music Edition or TAB. The level is Intermediate (Grade 4), YouTube Video Lesson & Performance (4k). Jesu, Joy of Man’s Desiring by Johann Sebastian Bach is from Bach’s Cantata BWV 147 and arranged here for classical guitar. This is a great piece for gigs such as weddings. I tried to keep true to the original but also keep it simple enough to sight-read at gigs. I’ve included a free notation edition so please enjoy. You can also find the tab as a hardcopy in my Classical Guitar Tab book on Amazon. Join the Email Newsletter to get updates on free sheet music and more. Please consider supporting the site and free sheet music. FYI, if you’re terrified of playing weddings you should check out this article on how to play at weddings. Here’s some more info via Wiki: Jesu, Joy of Man’s Desiring is the most common English title of the 10th movement of the cantata Herz und Mund und Tat und Leben, BWV 147 composed by Johann Sebastian Bach in 1716 and 1723. A transcription by the English pianist Myra Hess (1890–1965) was published in 1926 for piano solo and in 1934 for piano duet. The British organist Peter Hurford made his organ transcription for the chorale movement as well. Today, it is often performed at wedding ceremonies as well as during Christian festive seasons like Christmas & Resurrection Sunday slowly and reverently. This is however, apparently in defiance to the effect suggested by Bach in his original scoring, for voices with trumpet, oboes, strings, and continuo. Written during his first year in Leipzig, Germany, this chorale movement is one of Bach’s most enduring works. very nice rendition and performance. Very nice to hear and see it being played in a relaxed but controlled manner. Always it’s a pleasure hear your performance on this beautiful piece.